Spacious property with an in-house restaurant and a fine dining space. 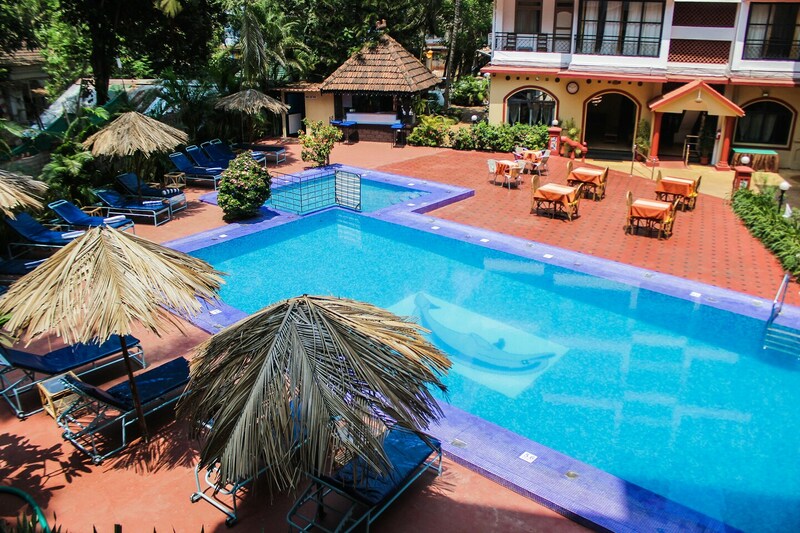 Catch all the action in Goa while you enjoy a comfortable stay at the centrally located OYO Flagship 17197 North Goa. OYOs skilled and friendly staff is always on their toes to cater to all your requirements. The rooms have been designed per the taste of modern travellers with each element of decoration chosen passionately. You can find all the amenities like AC, Dining Area, TV to your comfort. Explore the citys trail visiting its top attractions like Church Of St Alex Goa, Casino Palms and St. Cajetan Church. After a day full of sightseeing, relax in the restful ambience of OYO. Do not fret if you run out of cash. Theres IDBI Bank ATM, HDFC Bank ATM and RBL Bank ATM located at a short distance. Make memories in Goa, while you enjoy a welcoming stay at OYO Flagship 17197 North Goa.